Cash them, don't trash them. Can redemption center, waste management. Cans, plastic & bottles with a 5¢ deposit. 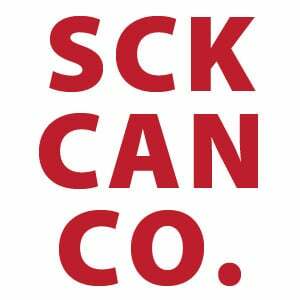 More About SCK Can Co.
Can redemption center, waste management. Fundraise money for your favorite organization by recycling! Collecting aluminum cans with 5¢ deposit is a good way to raise money for organizations! Bring your bags to SCK Co. an Iowa registered can redemption center and get cash for your organization. Don't throw them away, get your refund today! Recycling is essential to cities around the world and to the people living in them. No space for waste. Our landfill sites are filling up fast, by 2010, almost all landfills in the UK will be full. Reduce financial expenditure in the economy. Making products from raw materials costs much more than if they were made from recycled products. Preserve natural resources for future generations. Recycling reduces the need for raw materials; it also uses less energy, therefore preserving natural resources for the future. How much energy do we save when we recycle cans and other products? One ton of recycled plastic saves 5,774 Kwh of energy, 16.3 barrels of oil, 98 million Btu's of energy, and 30 cubic yards of landfill space. One ton of recycled glass saves 42 Kwh of energy, 0.12 barrels of oil (5 gallons), 714,000 Btu's of energy, 7.5 pounds of air pollutants from being released, and 2 cubic yards of landfill space. Over 30% of the raw material used in glass production now comes from recycled glass. Recycling of aluminum cans saves 95% of the energy required to make the same amount of aluminum from its virgin source. One ton of recycled aluminum saves 14,000 kilowatt hours (Kwh) of energy, 40 barrels of oil, 238 million Btu's of energy, and 10 cubic yards of landfill space. One ton of recycled steel saves 642 Kwh of energy, 1.8 barrels of oil, 10.9 million Btu's of energy, and 4 cubic yards of landfill space. Help the planet while getting cash for your trash.